This annual event, named for former University of Illinois Cancer Center Director Dr. Gary Kruh, brings together cancer researchers, faculty and students to learn more about the latest advancements in cancer research. A student poster competition will also be held. Brian D. Brown, PhD, will discuss “Investigating cancer resistance to immune editing by CRISPR genomics.” Brown is the associate director of the Precision Immunology Institute at the Mount Sinai Medical Center in New York. He is also one of the leaders of the myeloid division of the Immunological Genome (ImmGen) Consortium. His research is focused on understanding the molecular and cellular factors that control immunity and tolerance, particularly in tissues and tumors, and includes studies aimed at identifying the regulators of antigen presenting cell function and studies of T cell and cancer cell interactions. He has also led the development of a number of new technologies, including a novel gene targeting approach used in vector and virus-based therapies, a popular method for small RNA sequencing, and most recently, a new technology that enables high-dimensional analysis of CRISPR (clustered regularly interspaced short palindromic repeats) genomics with single cell resolution. Jaime L. Matta, PhD, a colleague of Santiago-Cardona’s at PHSU, will discuss “The Ponce Health Sciences University-Moffitt Cancer Center (PHSU-MCC) partnership to reduce cancer health disparities in Hispanics.” He serves as professor in the Department of Basic Sciences, Divisions of Pharmacology and Toxicology, Cancer Biology and has been instrumental in the development of research and teaching programs at PHSU, particularly in the areas relevant to pharmacology/toxicology and cancer research. Along with serving as a professor, Matta is principal investigator on PHSU’s U54 partnership with Moffitt Cancer Center in Tampa, Fla., and the National Cancer Institute. During the past 20 years, Matta’s research has focused on conducting translational cancer research in large-scale population studies with emphasis in the critical role of DNA repair in breast and skin cancer, identifying genes involved in cancer susceptibility, and studying epigenetic mechanisms by which such genes are regulated. Michael I. Nishimura, PhD, will present “Genetically Modified T Cells for the Immunotherapy of Cancer.” Nishimura serves as professor of surgery, vice chair for surgery research and Tumor Immunology & Immunotherapy Program Leader at Cardinal Bernardin Cancer Center, Stritch School of Medicine, Loyola University Chicago. A developer of the T cell receptor (TCR), Nishimura has studied the genetics and biology of TCR genes for more than 30 years, and has developed novel strategies to use them to treat patients with advanced malignancies and viral infections. He has conducted clinical trials treating melanoma and renal cell carcinoma patients with TCR transduced T cells and has plans to expand into other solid tumors such as pancreas and liver cancer. Nishimura has recently begin studying chimeric antigen receptor (CAR) T cells and is developing new cost effective approaches for treating patients with hematologic malignancies and solid tumors. 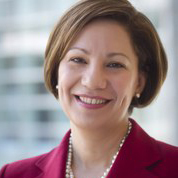 M. Patricia Rivera, MD, ATSF, FCCP, will present “Disparities in Clinical Trial Enrollment in Lung Cancer.” Rivera is professor of medicine in the Division of Pulmonary Diseases and Critical Care at the University of North Carolina, Chapel Hill. She specializes in lung cancer screening (LCS), diagnosis, staging, and management of treatment complications. Rivera also serves as co-director of the Multidisciplinary Thoracic Oncology Program and director of the Lung Cancer Screening Clinic at UNC. 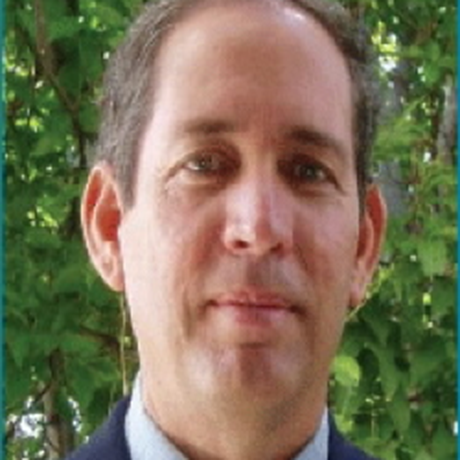 On the national level, Rivera serves as chair of the Thoracic Oncology Assembly of the American Thoracic Society (ATS) and the Thoracic Oncology Network of the American College of Clinical Pharmacy (ACCP) and is leading research workshops on the impact of co-morbidities on LCS and immunotherapy induced lung disease. 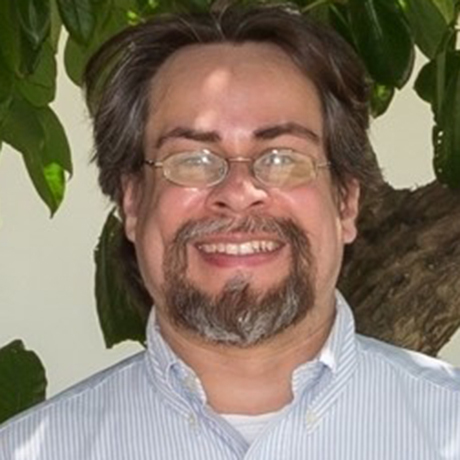 Pedro G. Santiago-Cardona, PhD, is associate professor, biochemistry and cancer biology divisions, at Ponce Health Sciences University (PHSU) in Puerto Rico. He will discuss “Hyper-phosphorylation of Rb S249 together with CDK5R2/p39 overexpression are associated with impaired cell adhesion and epithelial-to-mesenchymal transition: Implications as a potential lung cancer grading and staging biomarker.” Santiago-Cardona’s laboratory at PHSU is focused on the characterization of novel roles for the retinoblastoma tumor suppressor protein (Rb) – traditionally known as a cell cycle repressor – as a regulator of cellular adhesion. Specifically, his research is focused on the characterization of the molecular mechanisms by which Rb regulates cellular adhesion and blocks cancer metastasis, as well as on the characterization of phosphorylation signatures on the Rb protein that could serve as clinically informative metastasis biomarkers.